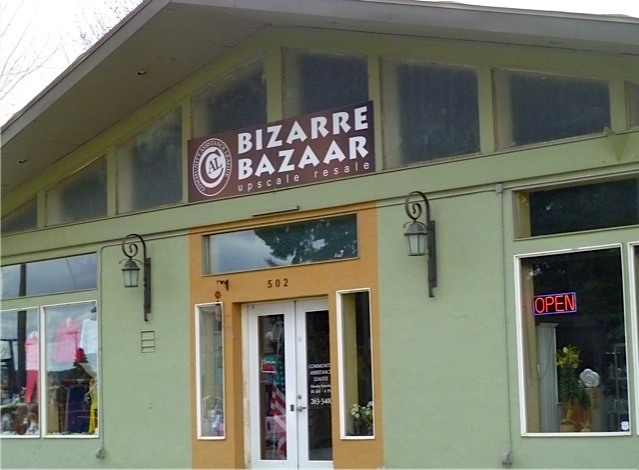 Our primary fundraiser is our upscale resale store, Bizarre Bazaar located at 502 Church Street, Sandpoint, Idaho, Phone 208-263-3400. CAL's resale shop, BIZARRE BAZAAR, was opened in March 2006 and named after our yearly jumble sale. Since its opening it has been a resounding success. The shop has been compared to other upscale boutiques in the area and features brand name clothing, accessories, linens, kitchenware, crystal, china, decorative items, jewelry, children's and men's departments and more. Operating hours are Monday thru Saturday, 10:00 a.m. to 4:00 p.m. The OBJECTIVE of CAL's Bizarre Bazaar is to contribute profits from our shop directly back into the community via grants and scholarships. We continue to contribute financially to many local area schools, organizations, and services that enhance the quality of life of many residents of Bonner County. Since its inception over 30 years ago CAL has contributed over $1,000,000 to our community.